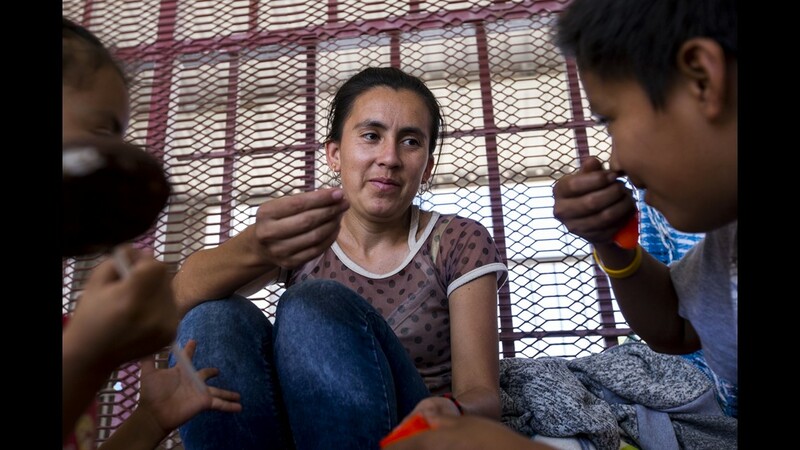 Magali Nieto Romero, 33, of the state of Guerrero, sits with her children, Lesly, 5, and Jose, 12, on June 20, 2018, at the DeConcini Port of Entry in Nogales, Sonora, Mexico. 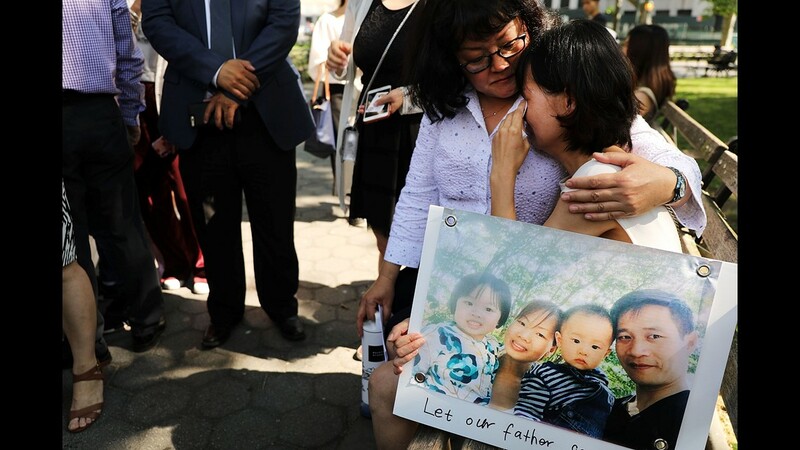 She has been waiting for an asylum interview with U.S. immigration officials for nine days. 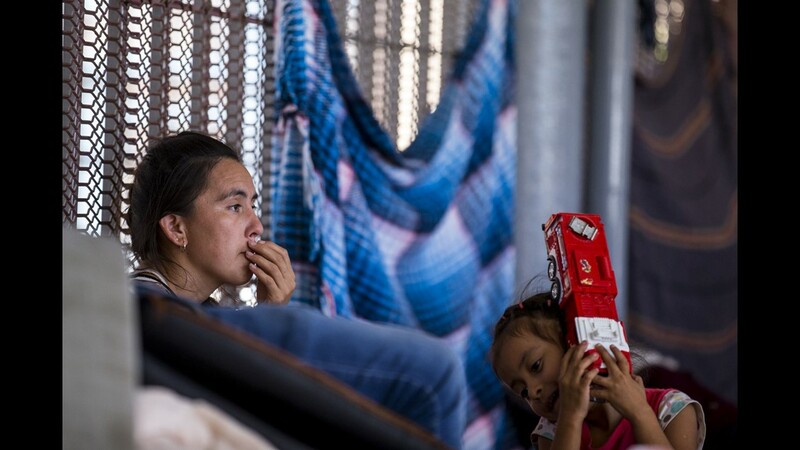 Magali Nieto Romero, 33, of the state of Guerrero, sits with her daughter, Lesly, 5, on June 20, 2018, at the DeConcini Port of Entry in Nogales, Sonora, Mexico. 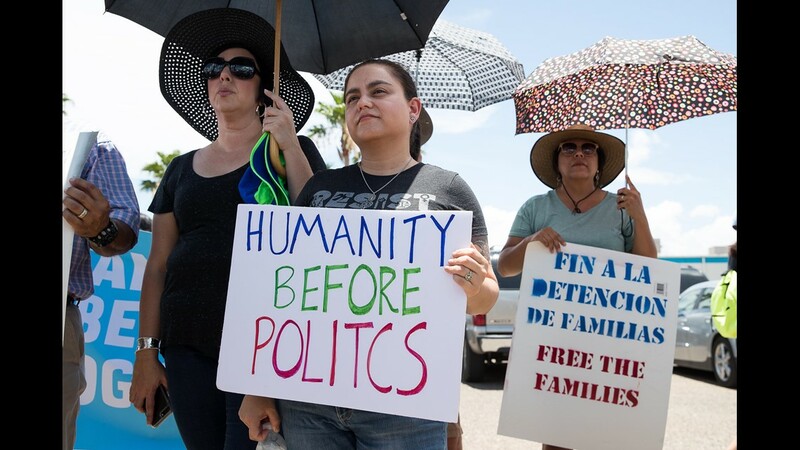 She has been waiting for an asylum interview with U.S. immigration officials for nine days. 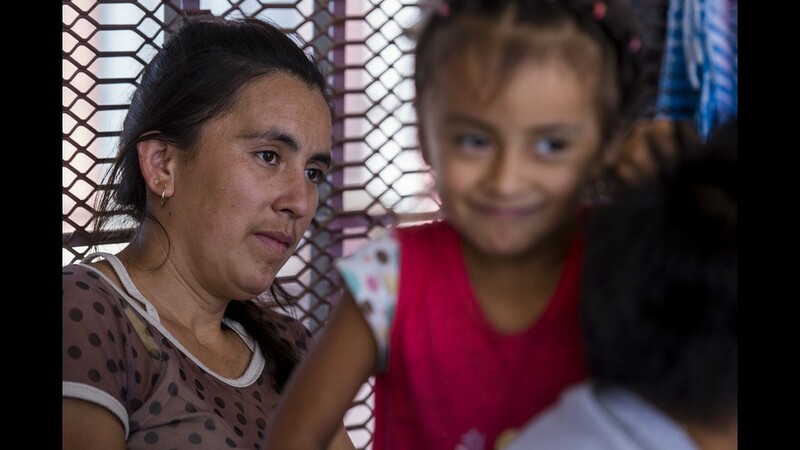 Magali Nieto Romero, 33, of the state of Guerrero, sits with her children on June 20, 2018, at the DeConcini Port of Entry in Nogales, Sonora, Mexico. 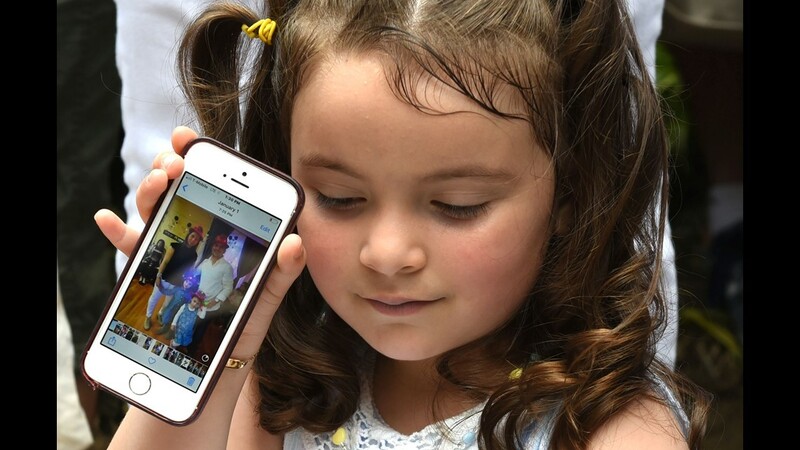 She has been waiting for an asylum interview with U.S. immigration officials for nine days. 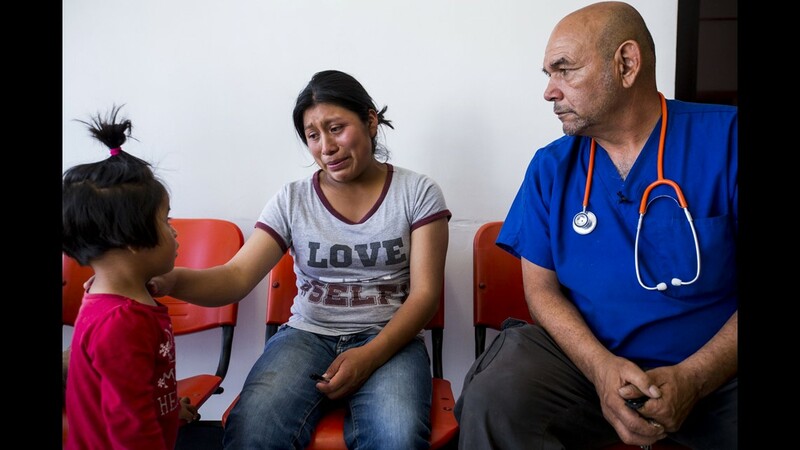 Nancy Gonzalez, 23, of Guatemala, sobs at the possibility of being separated from her daughter, Angie, 2, on June 20, 2018, in Nogales, Sonora, Mexico. 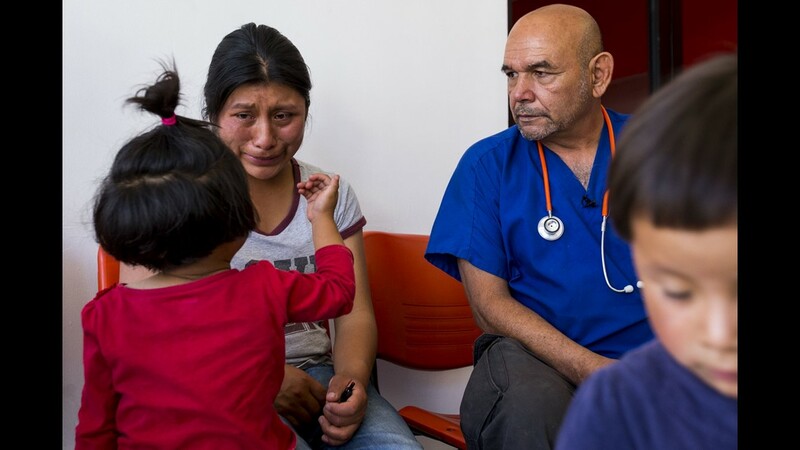 Francisco Alachea Martin, (right) a volunteer nurse, took Gonzalez, her sister, and their daughters to receive medical attention. 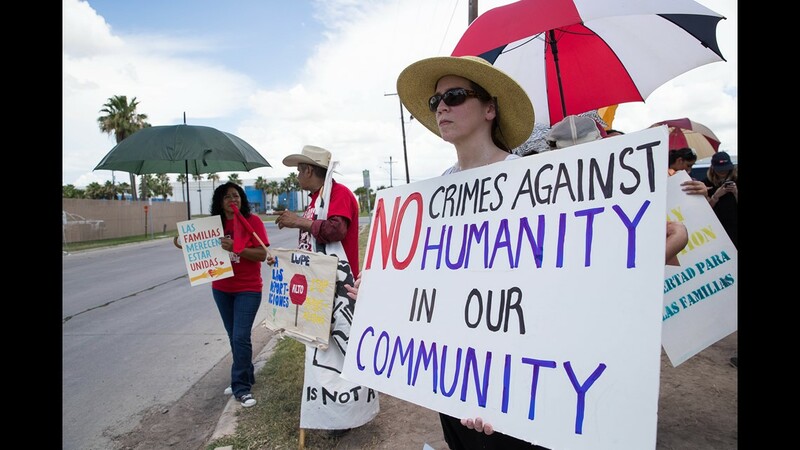 Gonzalez arrived in Nogales on Tuesday to seek asylum. 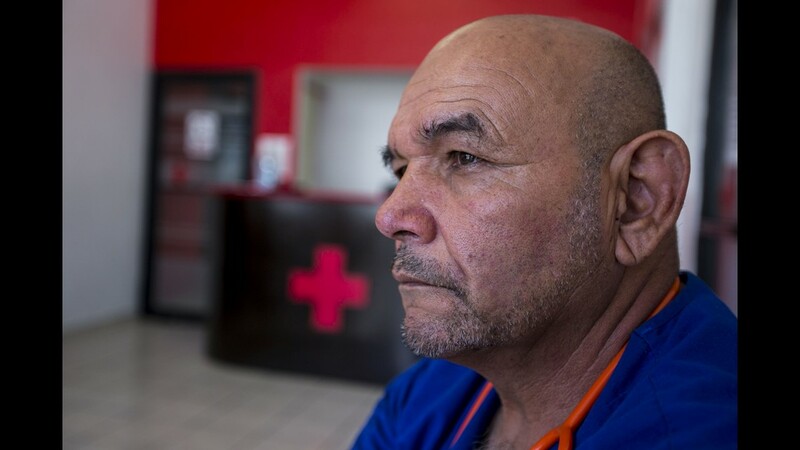 Francisco Alachea Martin, a volunteer nurse, poses for a portrait on June 20, 2018, in Nogales, Sonora, Mexico. 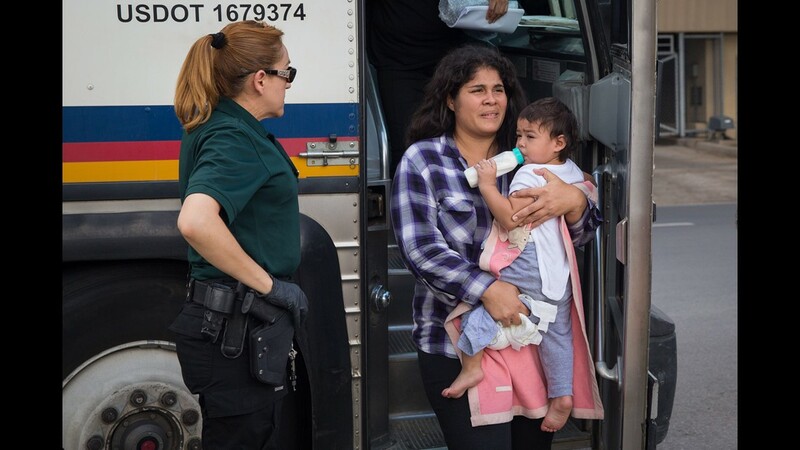 Alachea Martin, who also works as a police officer, helps transport migrants in shelters who are seeking medical attention. 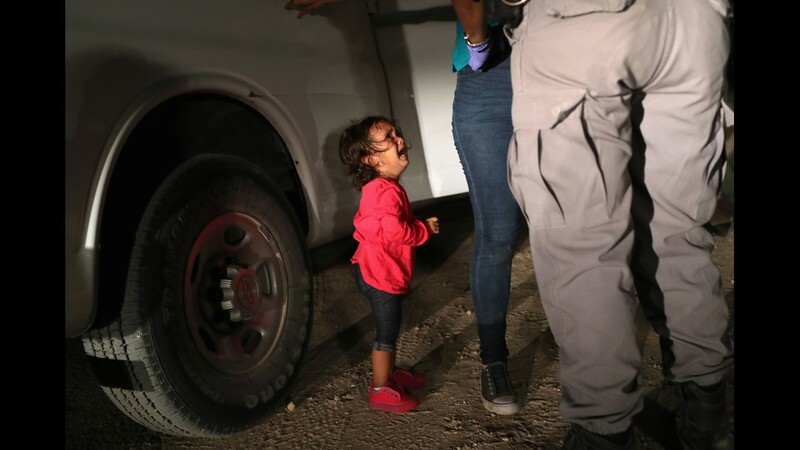 Nancy Gonzalez, 23, of Guatemala, holds her daughter, Angie, 2, on June 20, 2018, in Nogales, Sonora, Mexico. 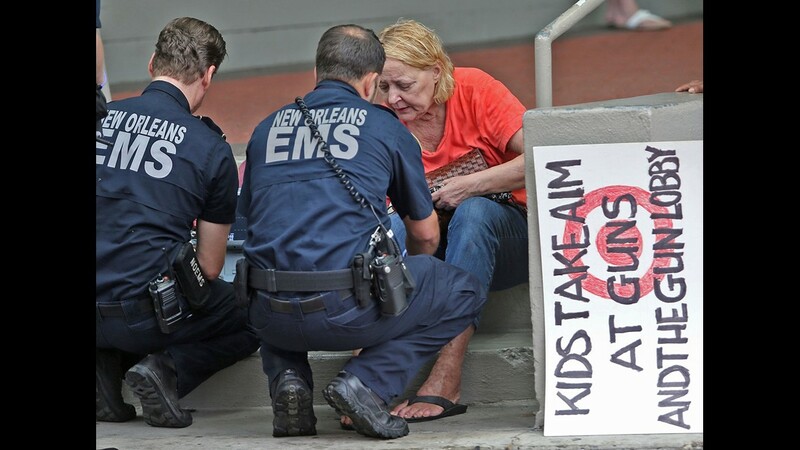 Francisco Alachea Martin, a volunteer nurse, took Gonzalez, her sister, and their daughters to receive medical attention. 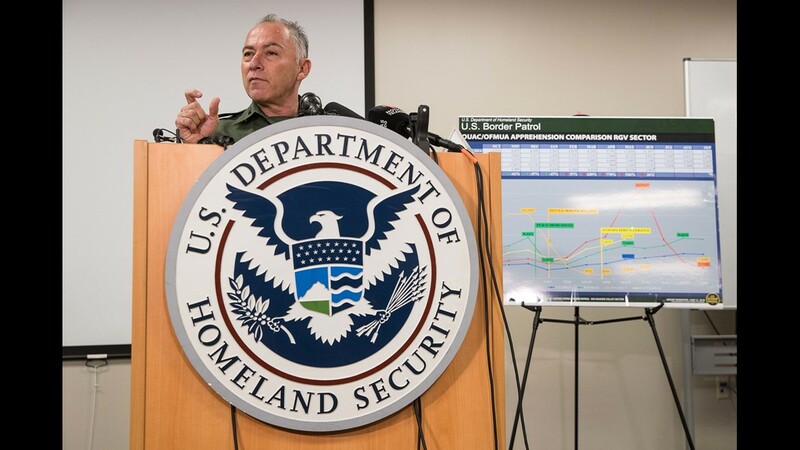 Gonzalez arrived in Nogales on Tuesday to seek asylum. 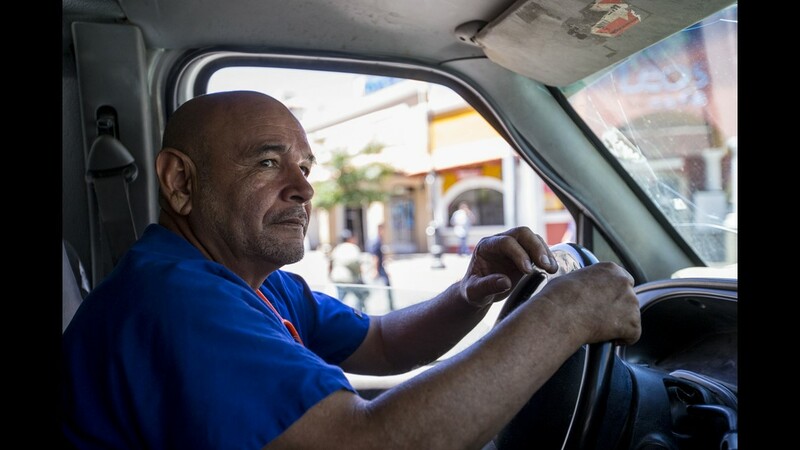 Francisco Alachea Martin, a volunteer nurse, drives his makeshift ambulance on June 20, 2018, in Nogales, Sonora, Mexico. 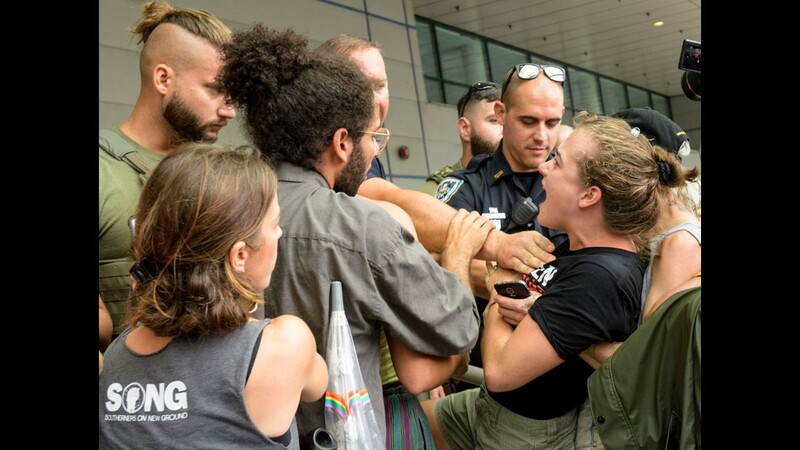 Alachea Martin, who also works as a police officer, helps transport migrants in shelters who are seeking medical attention. 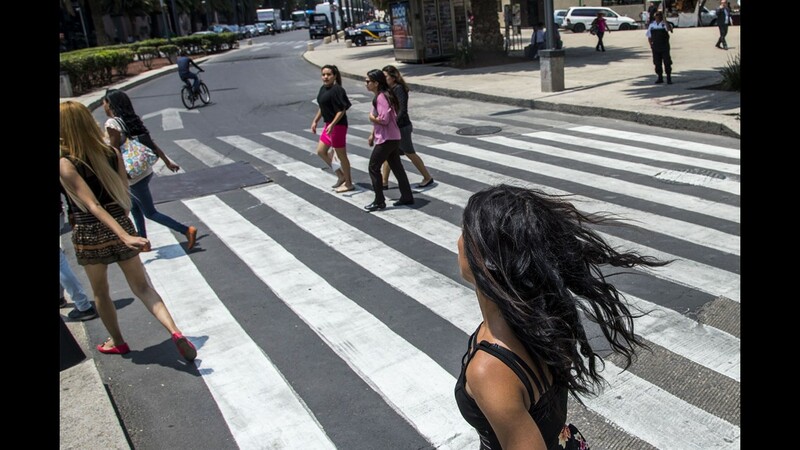 Sofia Lopez, a Central American transgender woman, traveled in a caravan through Mexico and arrived in Tijuana on April 28, 2018. 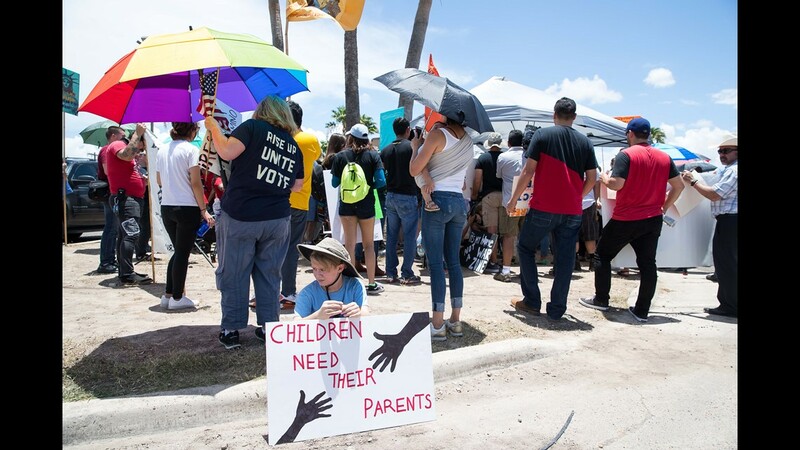 Migrants met with American lawyers who were providing pro bono legal consultations. 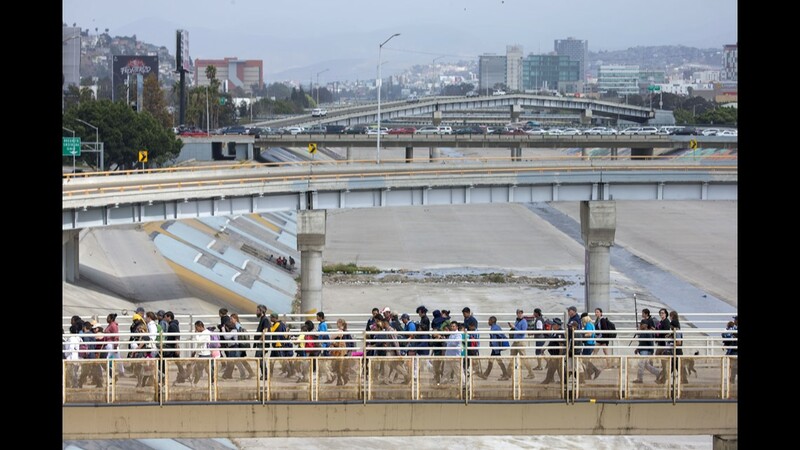 Central Americans part of the migrant caravan group cross the Tijuana bridge tot he U.S. port at San Ysidro on April 29, 2018. 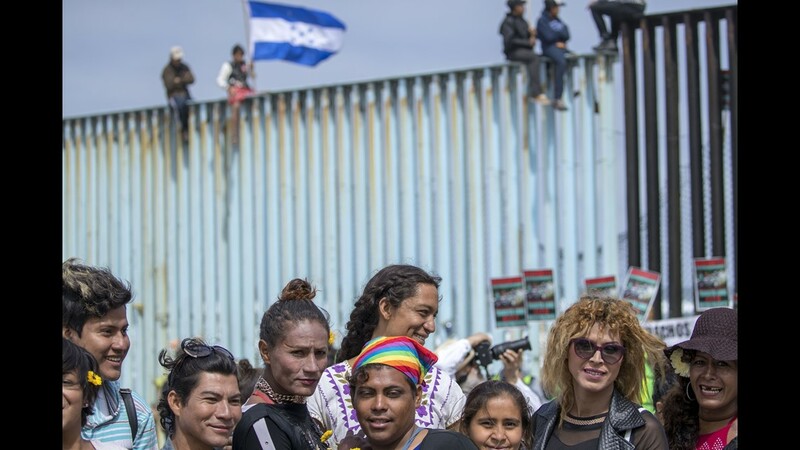 Central American transgender persons and others who are a part of the migrant caravan group enter the U.S. port at San Ysidro in Tijuana, Mexico, on April 29, 2018. 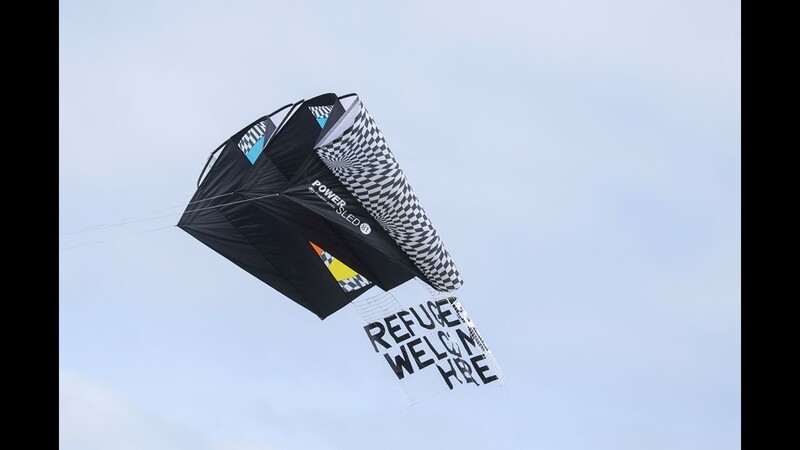 A Central American migrant group and supporters of the caravan from both sides of the border converged at the fence between Tijuana, Mexico, and San Diego near Friendship Park in Tijuana, on April 29, 2018. 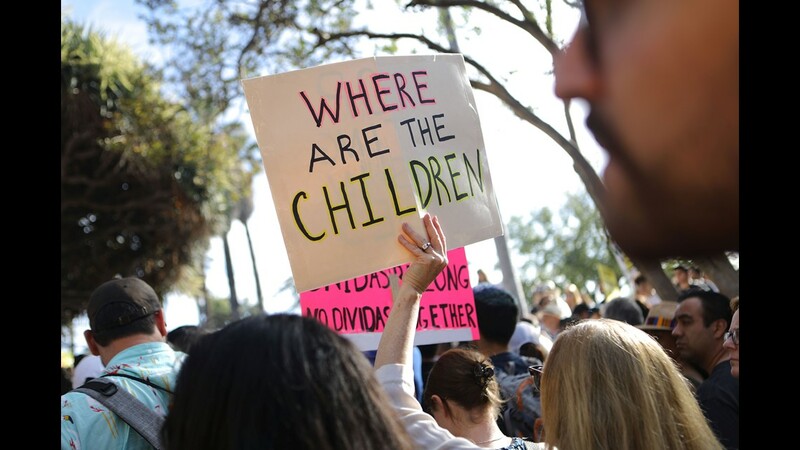 A Central American migrant group and supporters of the caravan from both sides of the border converged at the fence between Tijuana, Mexico, and San Diego near Friendship Park in Tijuana on April 29, 2018. 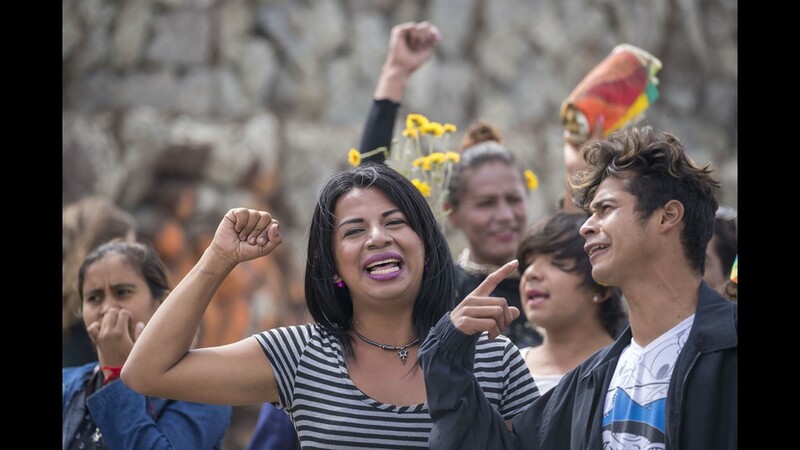 Transgenders from Central American migrant group and supporters of the migrant caravan from both sides of the border have converged at the fence between Tijuana and San Diego near Friendship Park in Tijuana, on April 29, 2018. 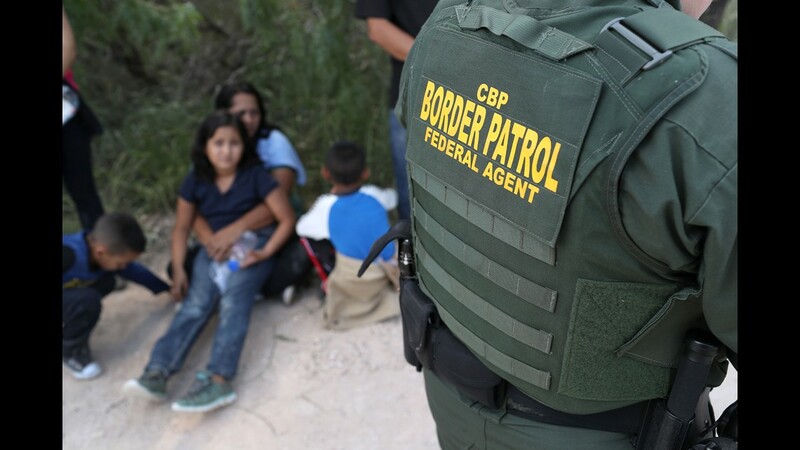 These migrants will decide whether to present themselves to U.S Border officers at the San Ysidro port of entry and apply for asylum. 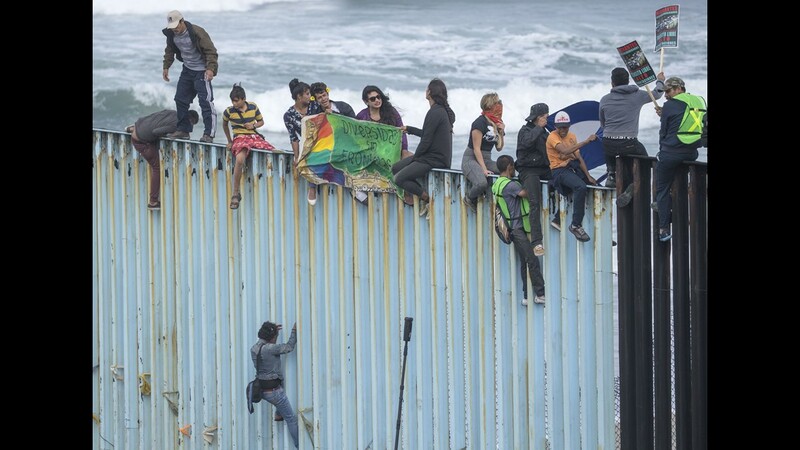 Transgender persons from a Central American migrant group and supporters of the migrant caravan from both sides of the border have converged at the fence between Tijuana and San Diego near Friendship Park in Tijuana, Mexico, on April 29, 2018. 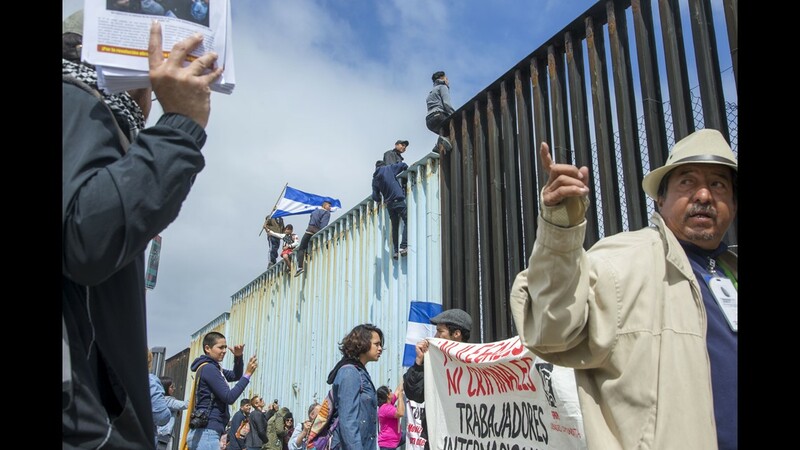 A Central American migrant group and supporters of the migrant caravan from both sides of the border have converged at the fence between Tijuana, Mexico, and San Diego near Friendship Park in Tijuana on April 29, 2018. Zahara Bernabe, 19, from Honduras, stands outside a church in Puebla, Mexico. She is part of a caravan that hopes to travel to the U.S. border, drawing the ire of President Trump. Sofia Lopez, a transgender woman from Honduras, stands inside a church in Puebla, Mexico. 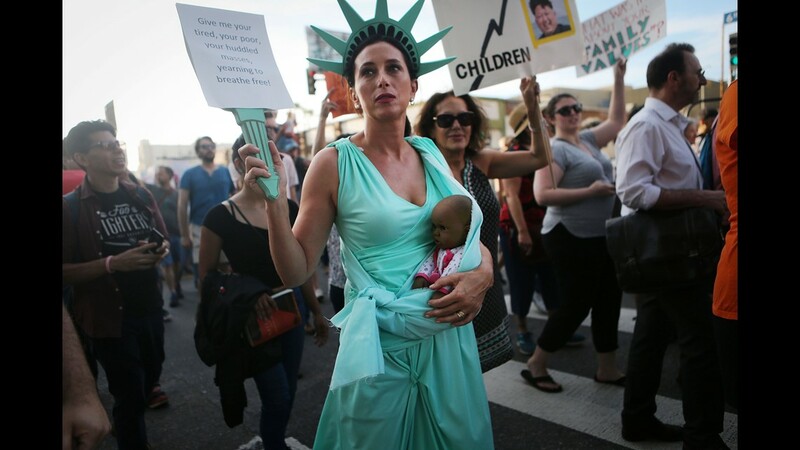 She and many others are traveling to the U.S. border. A transgender person from Central American dances with others outside a church in Puebla, Mexico. They and many others will travel to the U.S. border. 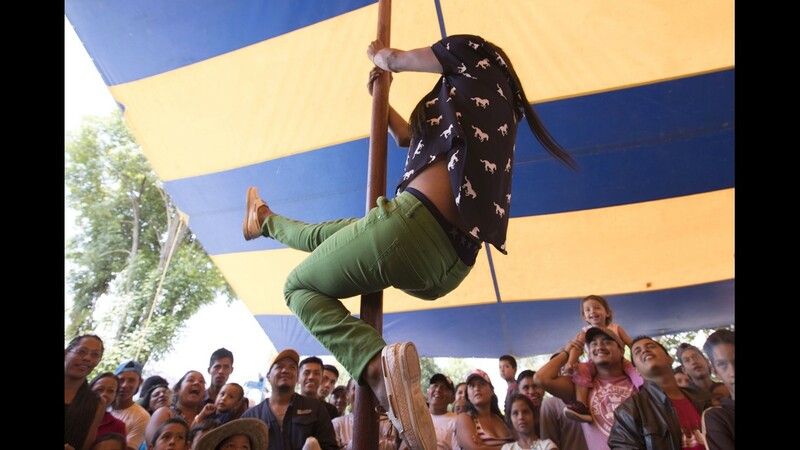 Sofia Lopez, a transgender woman from Central America, dances with others outside a church in Puebla, Mexico. She and many others will travel to the U.S. border. Sofia Lopez (center), a transgender woman from Central America, dances with others outside a church in Puebla, Mexico. She and many others will travel to the U.S. border. Transgender migrants from Central America hug their friends after arriving to Mexico City on April 9, 2018. 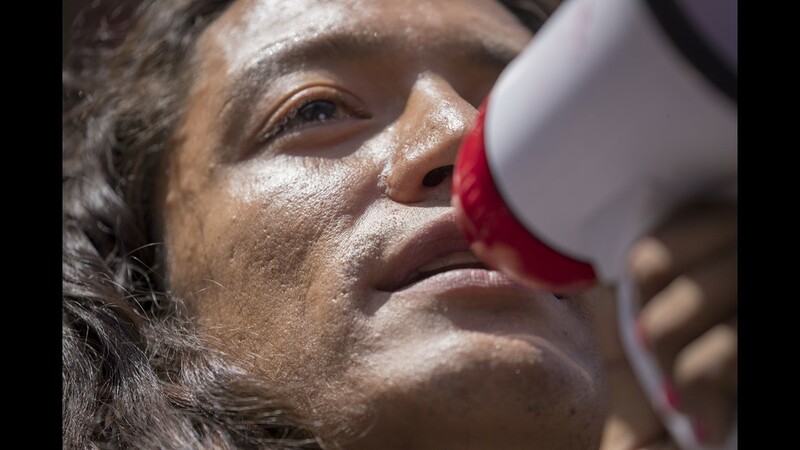 Transgender migrants from Central America came in a caravan bus to Mexico City and walk with other migrants to visit Mexican senators. Some of them may stay in Mexico to ask for political asylum. 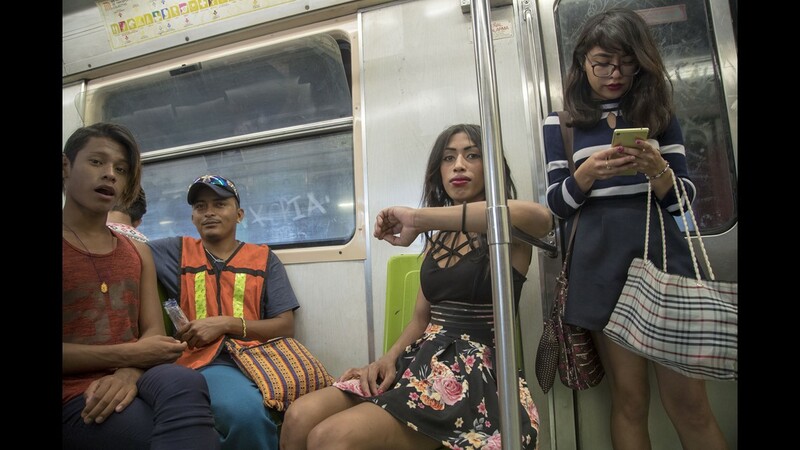 Zahara Bernabe, a transgender woman from Central America who is part of the migrant caravan, takes a train to Mexico City to visit Mexican senators. 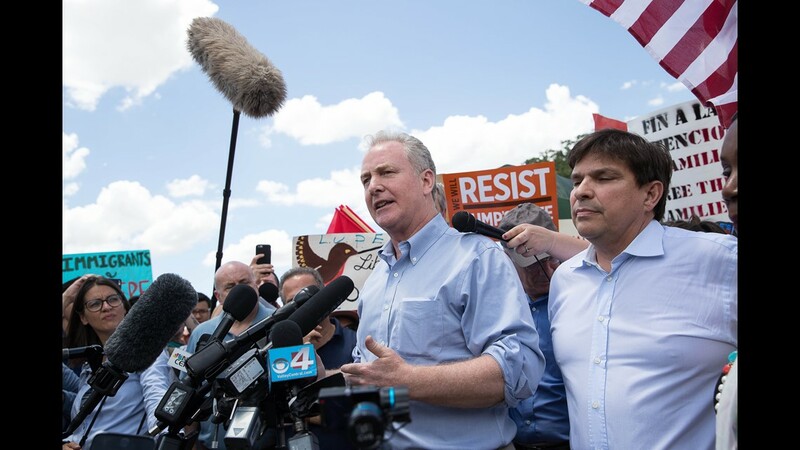 Some of the caravan members may stay in Mexico to ask for political asylum. Zahara Bernabe (center), a transgender woman from Central America who is part of the migrant caravan, takes a train to Mexico City to visit Mexican senators. 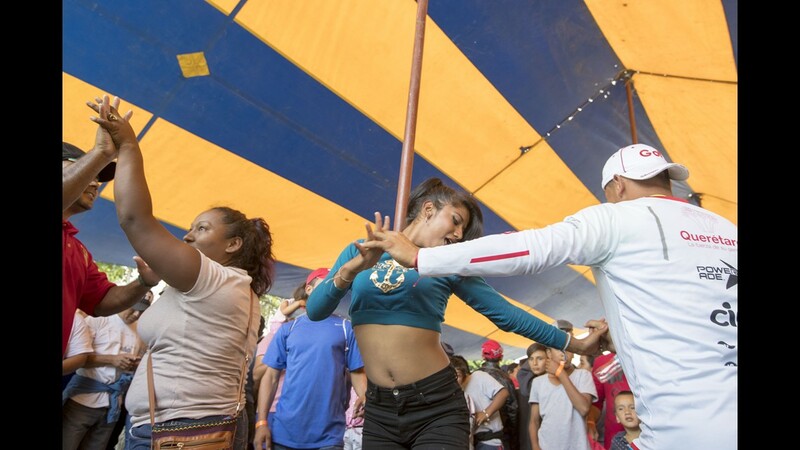 Some of the caravan members may stay in Mexico to ask for political asylum. Transgender migrants from Central America who are part of the migrant caravan take a train to Mexico City to visit Mexican senators. Some of them may stay in Mexico to ask for political asylum. A transgender person from Central America who is part of the migrant caravan poses before visiting Mexican senators. 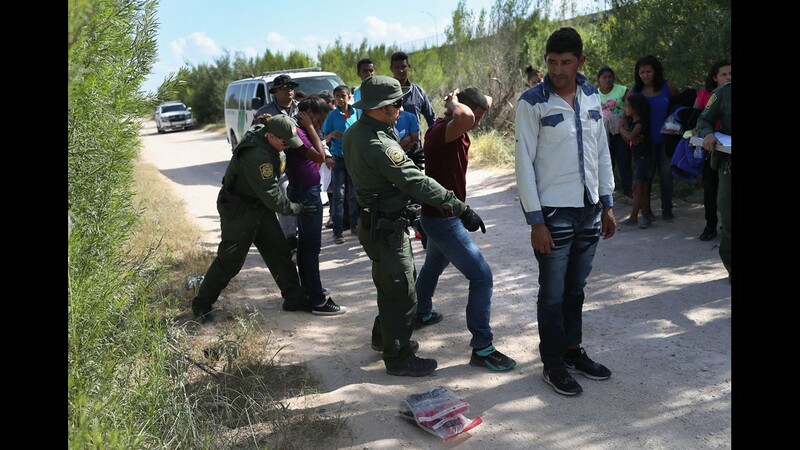 Some of the caravan memberse may stay in Mexico to ask for political asylum. Zahara Bernabe (center) poses with others from Central America who are part of the migrant caravan. 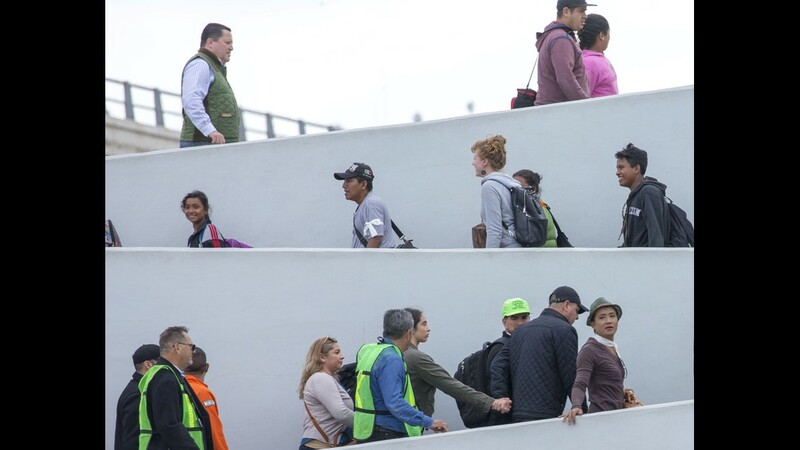 The migrants are taking a train to Mexico City to visit Mexican senators. Some of them may stay in Mexico to ask for political asylum. 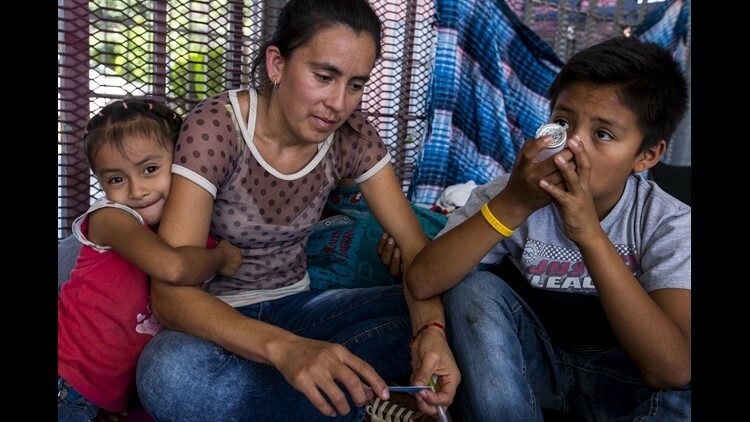 Transgender migrants Gemma Giron (left) from Guatemala and Shannel Smith from Honduras came in a caravan in Mexico City. 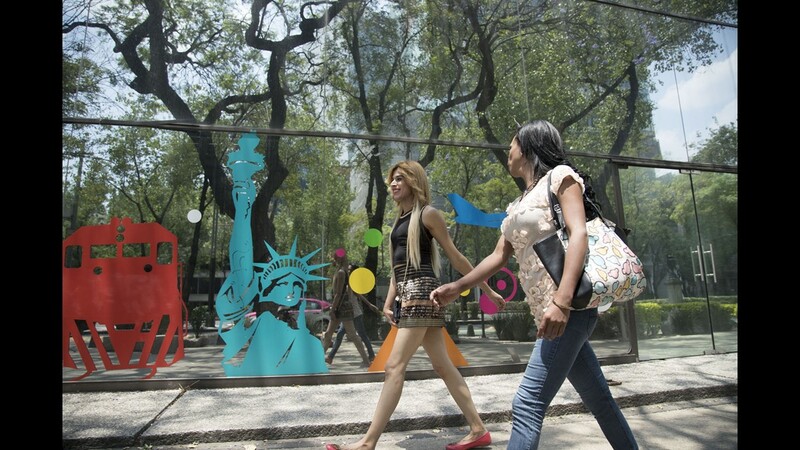 They walk with other migrants to visit Mexican senators. Some of them may stay in Mexico to ask for political asylum. Transgender migrants Gemma Giron (left) from Guatemala and Shannel Smith from Honduras came in a caravan to Mexico City. They walk with other migrants to visit Mexican senators. Some of them may stay in Mexico to ask for political asylum. 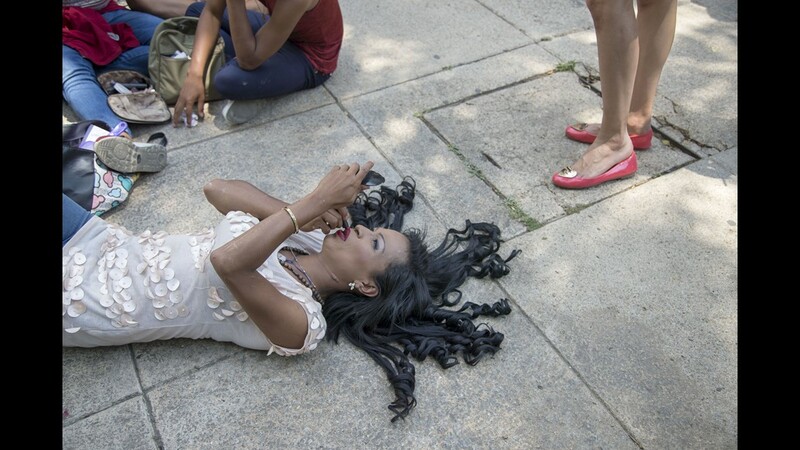 Transgender migrant Shannel Smith from Honduras came in a caravan to Mexico City. She waits to see Mexican senators on on April 10, 2018. Irving (no last name) speaks to the transgender group before they present themselves to U.S. border officers at the San Ysidro port of entry in Mexico and apply for asylum. 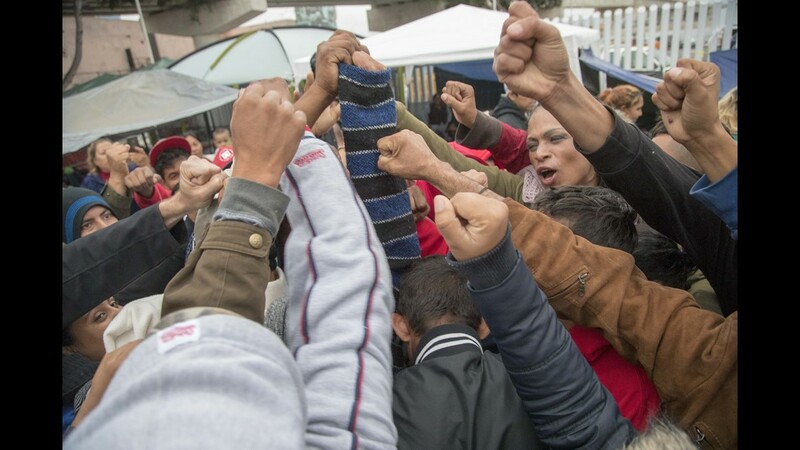 Central American migrants cheer Irineo Mujica, the transnational group that organized the caravan, after eight seeking asylum in the U.S. were allowed into the port to be processed. 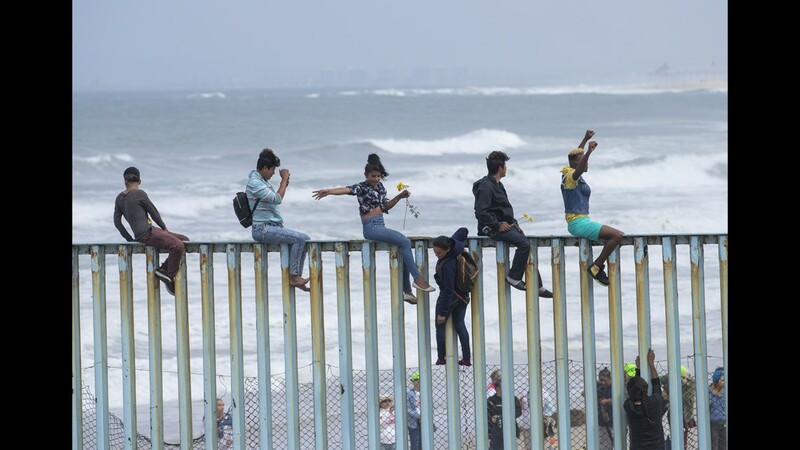 A Central American migrant group and supporters of the migrant caravan from both sides of the border converge at the fence between Tijuana, Mexico, and San Diego near Friendship Park in Tijuana on April 29, 2018. Contributing: Rebecca Plevin, The (Palm Springs, California) Desert Sun.